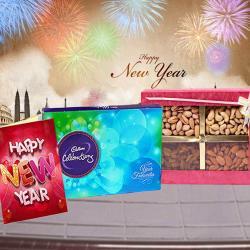 Product Consists : Bouquet of 15 Mix Color Roses with some fillers in a cellophane wrapping with a matching bow, 1/2 Kg Round Shape Chocolate Truffle Cake along with New Year Greeting Card. 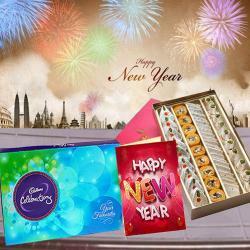 Jazz up the New Year celebration of your family and friends by treating them to lavish gifts from Giftacrossindia.com. 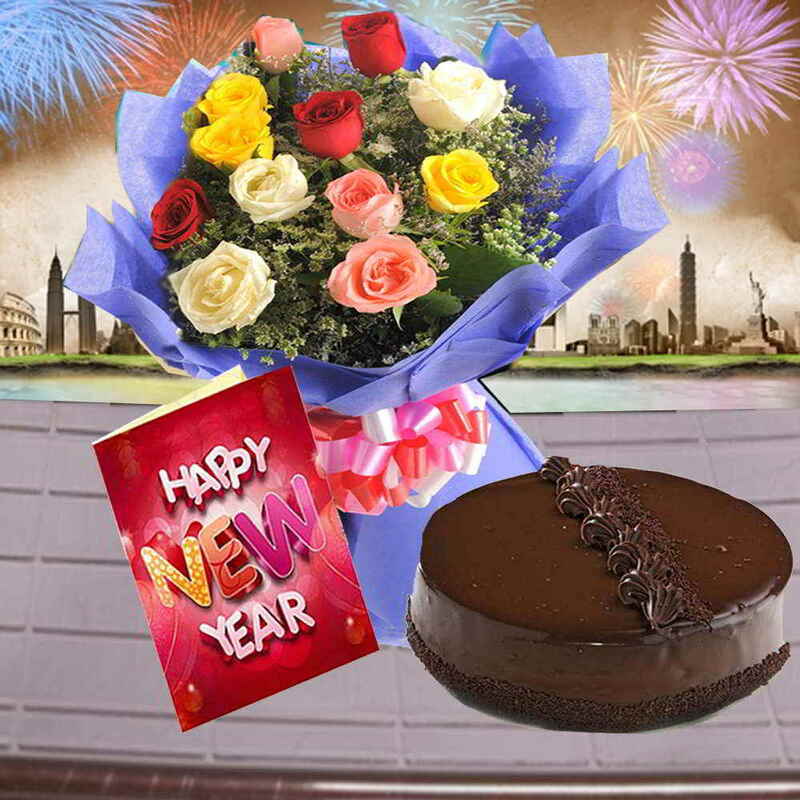 This is a classy gift hamper that comprises of a super tasty half Kg Cake in chocolate truffle flavor, 18 enchanting roses in mixed colors bunched up together with a decorative ribbon and a sumptuous New Year greeting Card that has a special message for your loved ones. 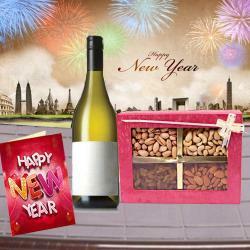 This spectacular gift hamper makes for an ideal gift to give an overwhelming start to New Year to your special ones. 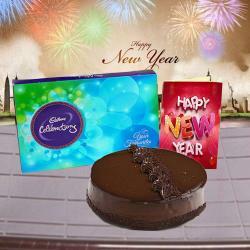 So book your order now. Product Consists : Bouquet of 15 Mix Color Roses with some fillers in a cellophane wrapping with a matching bow, 1/2 Kg Round Shape Chocolate Truffle Cake along with New Year Greeting Card.